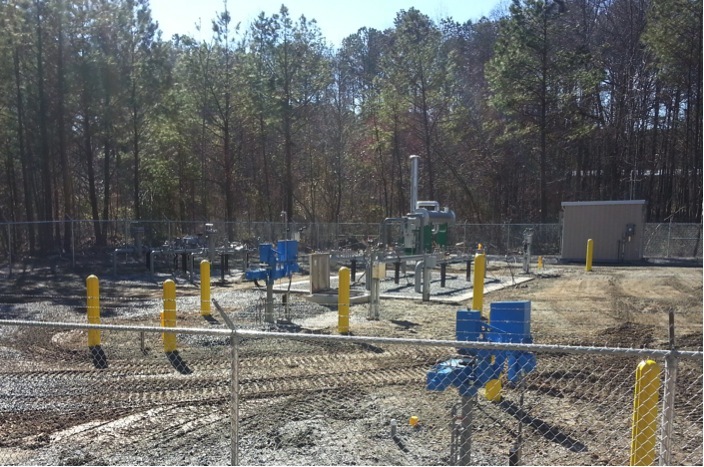 Player and Company constructed a regulator and metering station in Southwest Atlanta for pressure improvements to the natural gas distribution system. Both the metering and regulator piping sections were fabricated, tested, and coated in Player and Company’s shop. 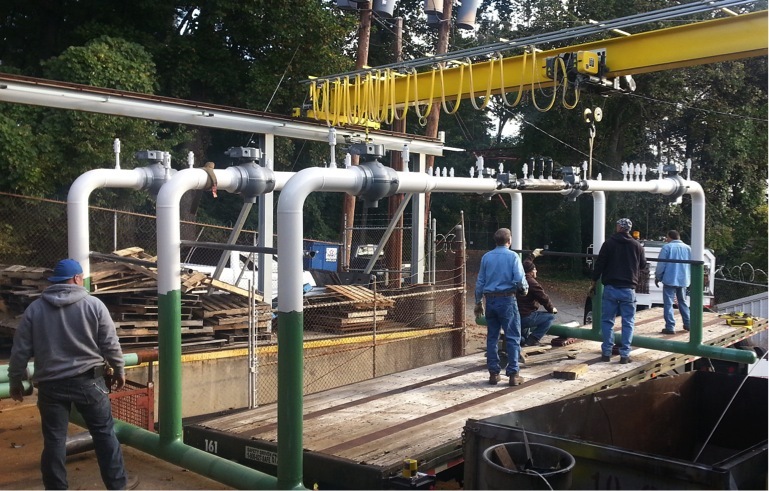 The metering and pressure regulating sections were shipped to the job site for field assembly. Field assembly consisted of a tie-in to a 24” transmission pipeline, tie-in to the 6” underground main, installation of a tap heater, setting of the regulator section, setting of the metering section, 6” underground piping, and SCADA work for station automation. The turnkey project was performed through all stages of construction: pre-fabrication, site clearing, grading, excavation, concrete construction, installation of piping, application of pipe coatings, testing, back-fill, final grading, security fencing, and controls. The station is now supplying natural gas to industrial parks and neighborhoods in the Southwest Atlanta area. © 2019 Player and Company. All Rights Reserved.